What’s the scoop: The plot has been all over the place of late but somehow, the writers brought everything together, here. Kara and Mon-El need Winn’s help to open their little stargate to get back on Earth. They are pressed for time because the Kryptonian Coven are about to bust into the DEO to find missing pieces they are missing to resurrect Reign. Meanwhile, J’onn prepares M’yrnn for his journey across whatever the Martian version of the Rainbow bridge is. Also, Sam is suddenly very sickly, and Lena scrambles to diagnose and save her. Meanwhile in B Plot Land: In the continuation of the non-lethal weapons story, Winn develops a belt buckle that activates a personal shield. He is very smug about the results until Agent Demos takes three Kryptonian eye blasts, and the shield doesn’t save him. Winn is distraught and feels like a failure. But there’s no time to mope, because he’s needed on the balcony. Meet Me on the Balcony: Everybody goes out to the balcony once Reign is resurrected, and she starts to Krypto-form the Earth by flying to the planet core with her handy hook sword. Her journey to the center of the Earth causes all manner of natural disasters to happen across the globe. What about the action: The action has been up and down this season, but this was one of the stronger outings. Alex’s Kryptonite-aided, table smashing fight against the witches was pretty impressive, if you ignore the fact that much of this season’s dramatic tension stems from Kara being mad at Lena for possessing Kryptonite, and Alex just grabs some off a shelf like it’s a can of corn. Mon-El’s punch-out of the witch after he went through the portal was a nice moment, as well (but why didn’t he throw her through the gate and close the door?). 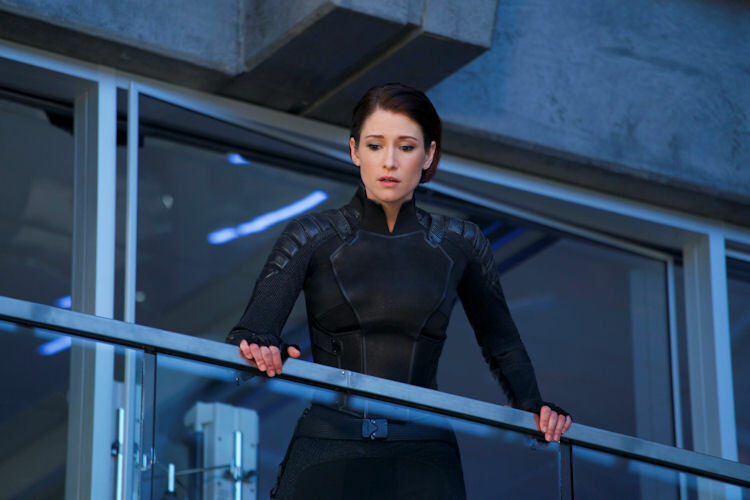 The episode’s lowlight was when Kara inexplicably threw the very things (vials of world killer blood) the witches were after at them, and almost destroyed the vials, but not before enough drops went on her hand to fully resurrect Reign. Why didn’t Kara destroy the blood samples when they were in her hands, or when Agent Demos chucked them at her? 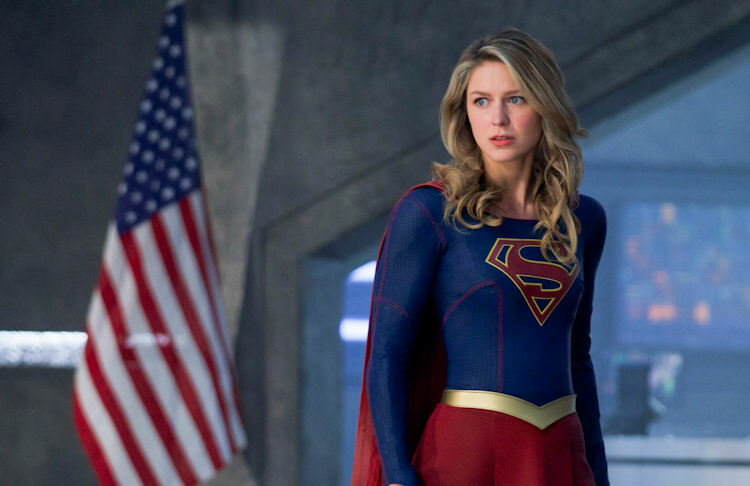 What’s next: Kara vs. Reign III –- winner takes all. Last impressions: This episode wasn’t totally devoid of emotion. We really feel for M’yrnn and Sam, especially since it feels like their days are numbered. 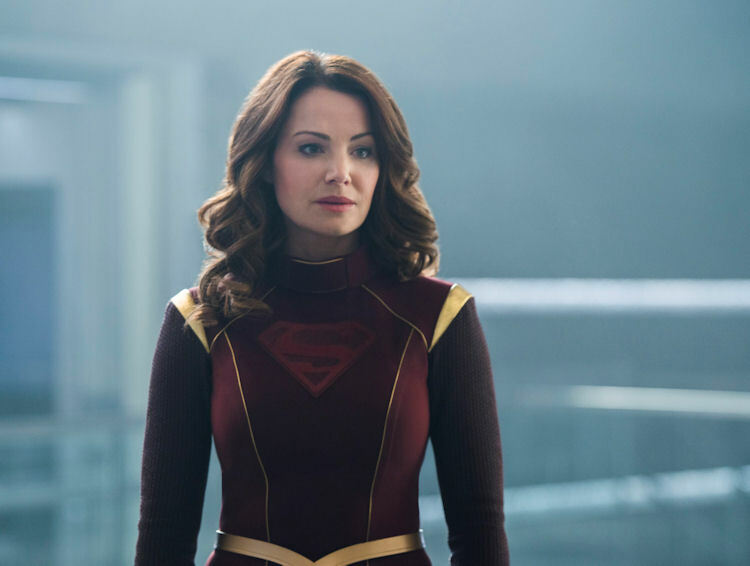 I would also put Alura on to next week’s noble sacrifice watchlist, if only because her death means they don’t have to keep returning to Argo City in the coming seasons, and this show hasn’t let Kara end a season on a happy note yet, so why should this year be any different? This episode had one job: Get people excited for the season finale. It was mostly mission accomplished on that front and more importantly, with the world literally falling apart it’s going to take a big team effort to defeat Reign, which is a pretty cool way to end a season.